Magic Stone Masonry Restoration Specialist is the key to your masonry dilemma. We have years of experience in building restoration and basic building maintenance. Whether it’s tuck pointing to stone replication or sealments to historical restoration, we can do it all and with confidence to provide a high quality service for you. Magic Stone Masonry Restoration and Repair based in Cheektowaga, NY, provides quality workmanship to buildings and structures in need of restoration and repairs. Magic Stone Masonry Restoration and Repair Specialist prides itself in doing a quality job at a price that will fit your budget. With this in mind, we do analyze the existing project at hand as well as looking into potential areas of concern. 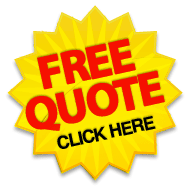 Please feel free to contact us with any questions or requests of a free estimate for your masonry building. We look forward to hearing from you and working with you.